WASHINGTON — The special congressional election in Pennsylvania is too close to call — but Democrat Conor Lamb declared victory early Wednesday morning. 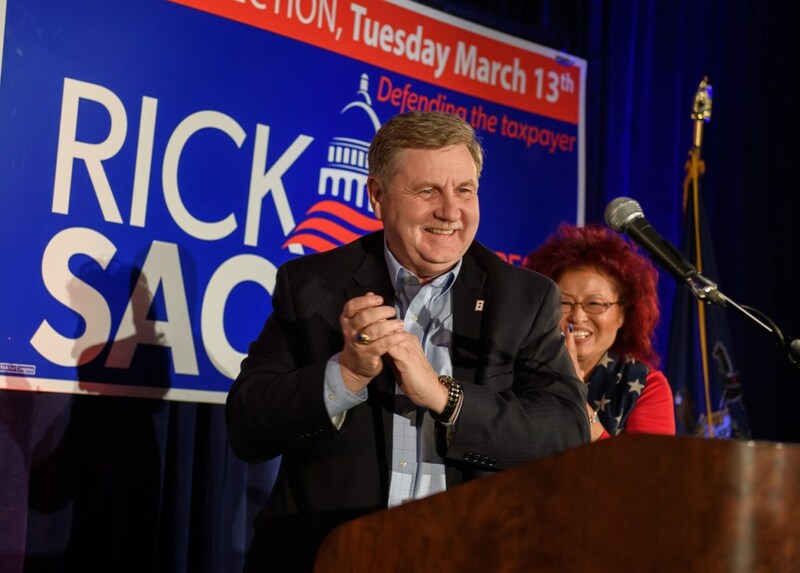 With 99 percent of precincts reporting Tuesday night, Lamb clung to a 579-vote edge over Republican Rick Saccone, with 113,111 votes for Lamb and 112,532 for Saccone. NBC News said the contest was too close to call. 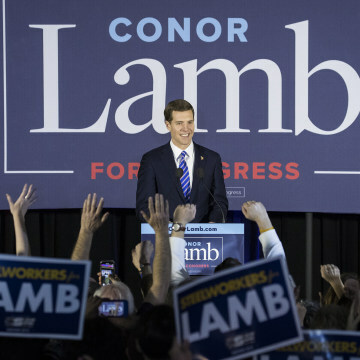 But shortly before 1:00 a.m., Lamb was introduced as "congressman-elect" at his election night party. "It took a little longer than we thought, but we did it!" Lamb told cheering supporters. Lamb, 33, was already looking ahead to Capitol Hill, saying, "Our job in Congress is to attack the problems, not each other." Earlier, Saccone, 60, addressed his supporters and stopped short of any declarations. "We're not giving up," Saccone said at about 11:30 p.m. "We're going to be working late into the night, tomorrow...Don't give up! We're going to win it!" Under state law, supporters of either candidate can request a recount if they believe there was an error in the initial tally. There is no provision, however, for automatic recounts in tight congressional elections. Bob Branstetter, general consultant for the Saccone campaign, told NBC News that the campaign has been in touch with legal counsel and is exploring all its options. There are a substantial number of outstanding absentee ballots — over 1,000 — that could still swing the race. Three of the four counties that make up the district were tallying their absentee votes Tuesday evening or early Wednesday morning, while the other county was not expected to do so right away. But those votes must be counted within seven days. The little-known third party Libertarian candidate had over 1,300 votes, more than the margin separating the two major candidates. The race is being closely watched as a pulse check on the political health of President Donald Trump ahead of November's crucial midterm elections. But the contest was never supposed to be competitive. In fact, there are 114 Republican-held House seats more competitive than Pennsylvania's 18th, according to a Democratic tabulation of the Cook Political Report's partisan voting index. The race flew under the radar for months because no one — most of all Democrats — thought they had a chance. 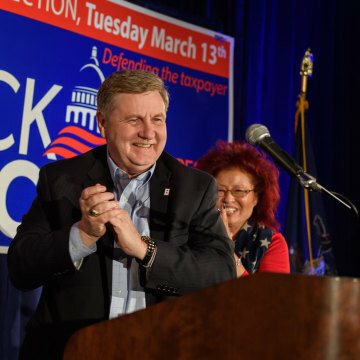 The western Pennsylvania district is in the heart of "Trump country," as the president himself dubbed it Saturday during a campaign appearance for Saccone, and it voted overwhelmingly Republican in the past three presidential elections. The district was gerrymandered to guarantee easy reelections to its former occupant, Tim Murphy, a Republican, who was forced to resign last year after it was revealed that the pro-life lawmaker had pressured his mistress to have an abortion. But Lamb, propelled by the national anti-Trump tailwind, has steadily gained in recent polls. Republicans sounded the alarm as early as January and began dumping millions of dollars into the race to boost Saccone. With two visits to the district, Trump led a parade of high-profile surrogates for Saccone, underscoring both how invested the White House and GOP leaders felt in the race, and how nervous they were about its outcome. National Democrats, on the other hand, kept their distance. Determined not to repeat the fiasco of last year's special election in Georgia, when their multi-million-dollar intervention ended up tainting the party's candidate in the eyes of conservative voters, they gave Lamb room to define himself. Drawing on his background as a Marine and former federal prosecutor, Lamb disowned Minority Leader Nancy Pelosi, D-Calif., and staked out positions on abortion, guns and fracking that hewed closer to the GOP. 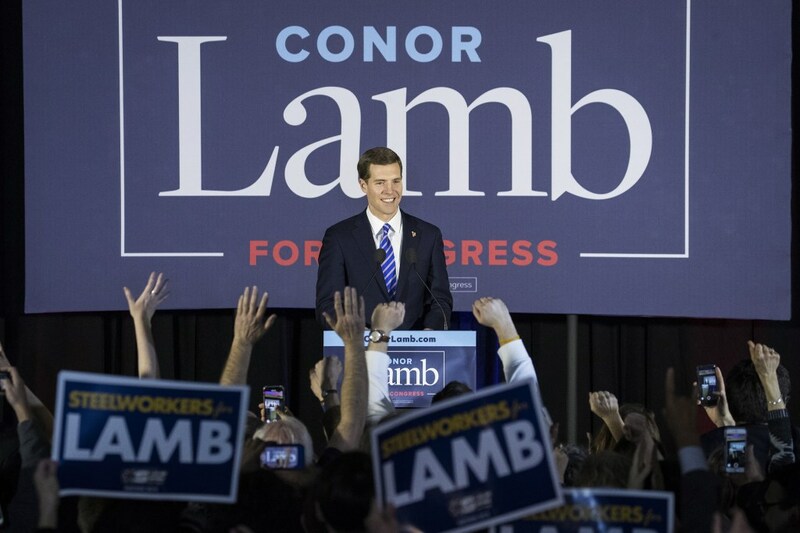 But Lamb also embraced the classics of the Democratic playbook, hammering Saccone for allegedly wanting to cut Social Security and Medicare, and uniting Pittsburgh's powerful unions behind him in a way no Democrat had before in that district. While the district will soon no longer exist, thanks to a recent ruling by the Pennsylvania Supreme Court, and one House seat is not worth much in 2018 Washington, the race was nonetheless freighted with real consequences for both parties as they gear up for a crucial midterm election.